“Certain tasks, including debugging and creating local IIS applications, require that you start Visual Studio as a user with Administrative privileges. On Windows Vista, and Windows Server 2008 when not running as the built-in Administrator account, this requires right-clicking the Visual Studio 2008 icon in the Start Menu and choosing Run as administrator. NOTE: If you are doing this while logged on as a standard user instead of an administrator, then you will need to also click on the Change settings for all users button and type in the administrator's password. The key is to change the compatibility setting of the Visual Studio EXECUTABLE, not the shortcut to it. I.e., on my laptop, I went to C:\Program Files (x86)\Microsoft Visual Studio 10.0\Common7\IDE\ and right-clicked devenv.exe and then proceeded as above. I then had to add one more step – when I now clicked on a .sln file, nothing would happen. It appears the default Open action couldn’t run, I assume, due to inadequate privileges. To fix this, I right-clicked the .sln file, selected Open With –> Choose Default Program, and then selected Visual Studio, making sure Always use… was checked. Presto – my .sln files now open asking to be run as admin, as do my jump list projects. 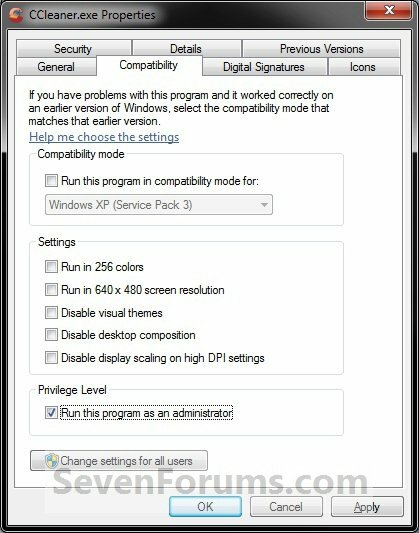 An alternative solution to the last step is to check "run as admin" on the version selector too (vslauncher.exe). 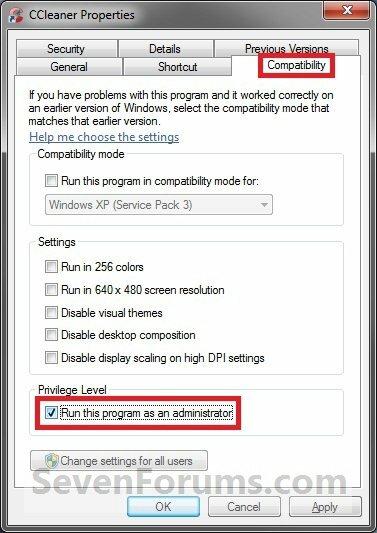 Here is a link that provides a good explanation of make the visual studio always run as administrator. @ ASP.NET Solution. Right: that would be exactly the same as what I'm saying. Thank you very much, this has been bugging me for a while.